"Technology is the extension, not the replacement of the mind"
Exploring the power of frequency and music to change the world. Featured simulation instructor and former Lockheed Martin Multimedia Design Engineer, Zerry L. Hogan explains the use of simulation technology. Zerry was a Technical Lead in the acquisition and delivery of the simulation technology for Lynx (Orlando) from 2013 - 2014. In 2014 and transitioning to the project manager, a custom simulation curriculum was built that documented a 67% accident decrease in "SIM" trained drivers. Develop a strategic partnerships with me. Work with the best! Veteran Owned Business Member - our business is a proud member of the Veteran Owned Business Project. 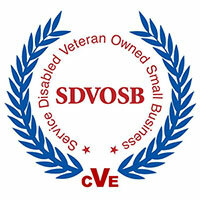 VOB is the leading FREE network portal of over 300,000 supporters and 30,000 businesses owned by military veterans (VOB), active duty military, reservists, service disabled veteran owned businesses (SDVOSB) and military spouses of the United States Army, Air Force (USAF), Marines (USMC), Navy (USN), Coast Guard (USCG) and National Guard. Join us in showing your support for our armed forces by proudly searching for products and services that are all made by, sold by or serviced by past/present members of the United States military community!